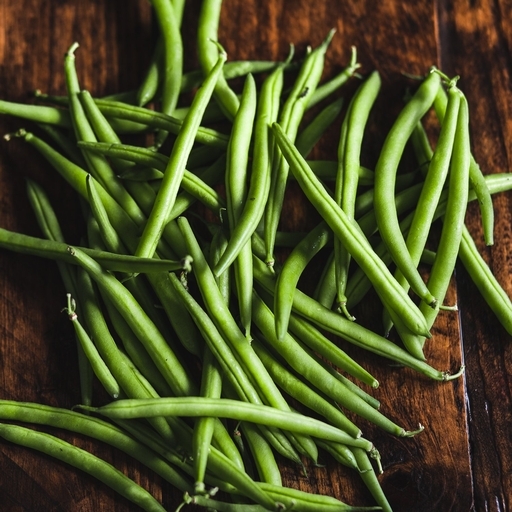 Organic French beans. This versatile veg can either be fast-food or the basis of a leisurely feast. Boil briefly, then toss still-crunchy beans with a little sweated garlic and butter for a simple side. Slow-cook to richness with tomatoes and onions – good for pasta sauce with added olives. Or steam your beans and toss in a classic salad Niçoise. Summery bliss. Top and tail them and blanch in boiling salted water for a couple of minutes. They need to have a squeak when you bite into them. Most often we boil our beans briefly then dress them up with flavourings. Salad Niçoise is always a winner – add some or all of anchovies, hard-boiled eggs, new potatoes, tuna, lettuce, capers and olives. For something simpler, simply turn French beans in a pan of melted butter with a cloud of parmesan on top, or toss with crispy pancetta and shredded sage. Keeps for up to a week in the bottom of the fridge. The first flush comes from our growers in Spain, then our farm in the Vendée in June and home grown in August and September. They like to grow in hot and humid climates so can be a challenge to grow in the UK - Richard Rowan, one of the South Devon Organic Producers co-operative, grows ours.